In my house there is a lot of activity. 6 of us that give our home a true run for its money. 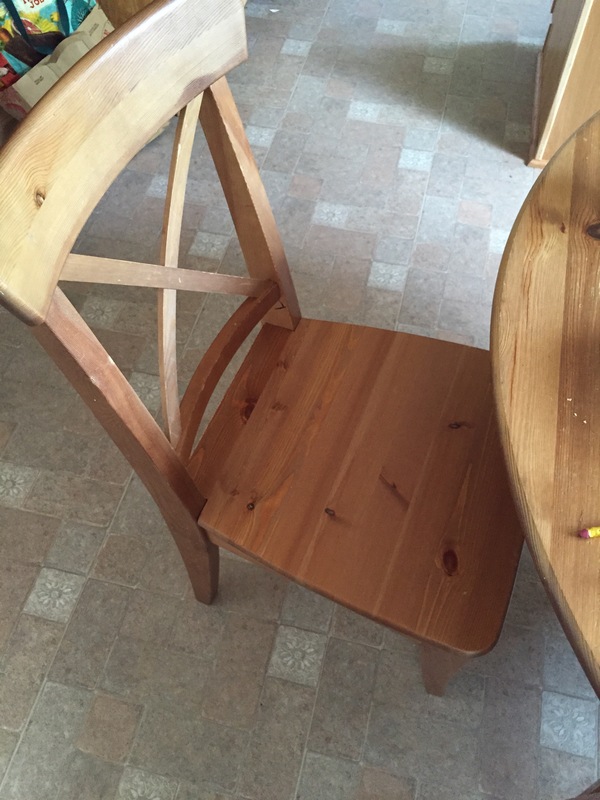 One of the major items that gets used a lot are chairs. 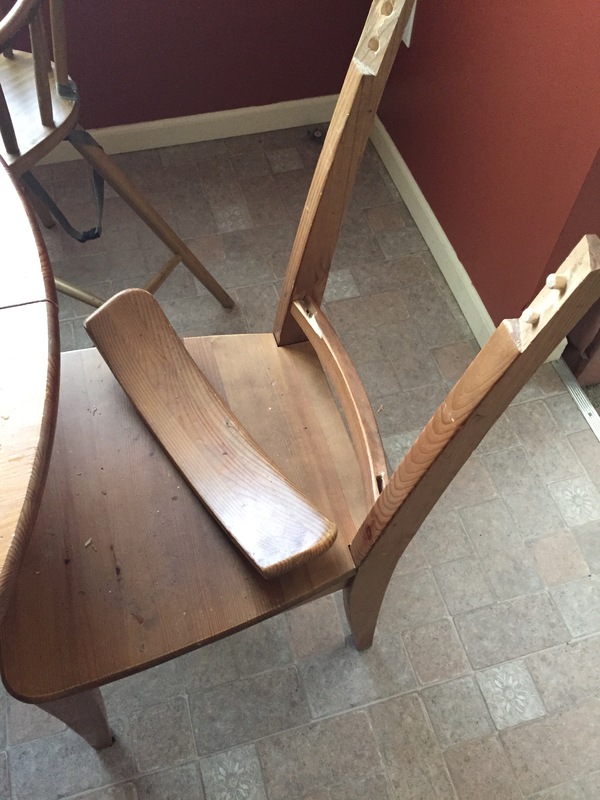 Chairs take a hit and look like they have been through a war. So, I decided to give them a makeover. So, I thought to ask my kids to help. It would be a nice project to work on together. However, I am a control freak, Or should I say “Recovering Control Freak”. I have a hard time not doing things my self and asking for help. 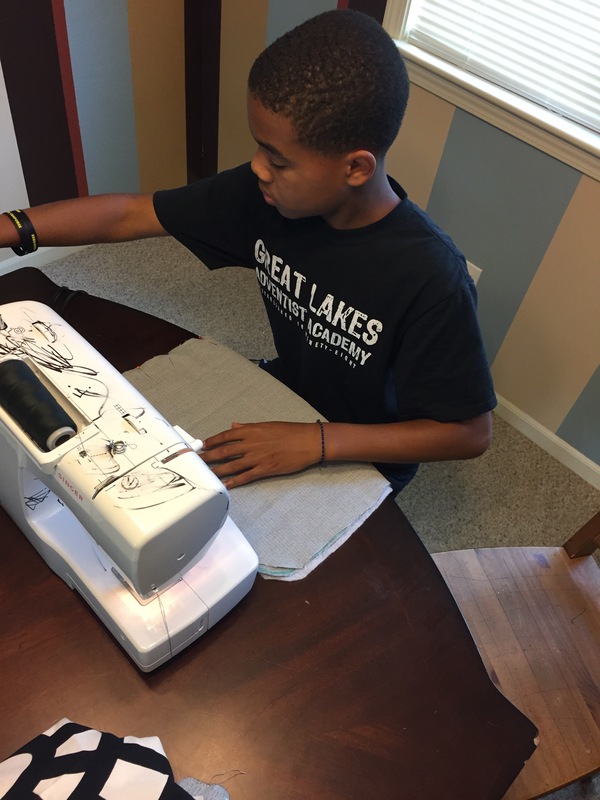 But, today…..I stepped out of my zone and let my son help me with a sewing project and I learned a valuable lesson. 1. I should have done it sooner! 2. This kid learns quick and is good with his hands. 3. I can’t wait to see what we come up with next!!! Today, I thought “You know what, he’s not doing anything but playing with his Legos and my daughter was not into it this morning, so ask Israel if he wants to help.” I figured he would say no (which would have probably made me breath a sigh of relief). 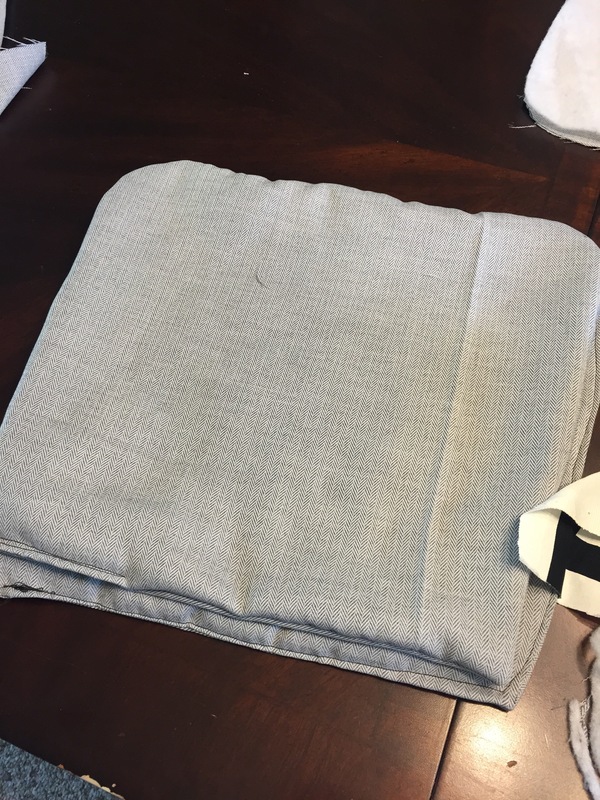 When he entered the room and I asked “Hey, you wanna make some seat covers?”, the look on his face was kind of a cross between “What’s That”, and “Ooh, I get to touch your machine!!!”. That last one frightened me a bit, lol. So, he helped me measure the chairs, cut the template fabric, cut the other sections and we got busy. 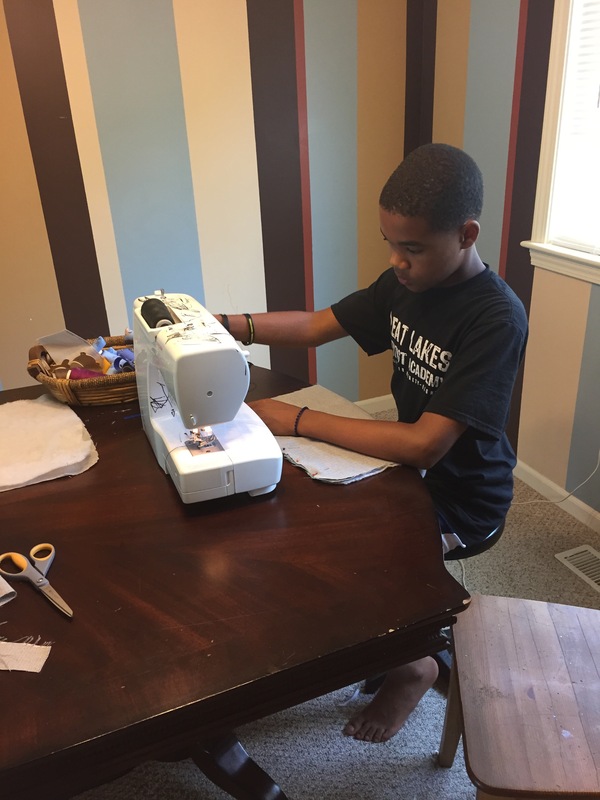 I showed him how to operate the machine, set the fabric, pin, load thread, and use the foot peddle. Once I did the first one, the next three where all his. He couldn’t believe it and thought I was going to hover over and be a pest, but I walked away and told him to call me when he needed me. He did and there were a couple of mistakes, but for the most part, for his first time touching the machine, he did GREAT!! He’s a natural ….. I should have known, a brick off the old wall, or whatever that saying is, lol. I did however, have a flash forward toward the end of him one day trying to learn how to drive. Yeah…..I’ll leave that one to his dad, and I’ll stick to the sewing machine! I learned a valuable lesson, which I am sure I will continue to learn over and over and over again with 4 children. Which is let um do it, and go have a seat some place. They will make mistakes, just like you. Yes, you will help them clean it up again and again. But, eventually they will get the point, and because you let go and allow them to try, you eventually get to have a seat and rest! ← Time to FACE the MUSIC!